Yvette Williams was diagnosed with breast cancer on the 27th July 2000. One week later she had a mastectomy. She is one of many women in The Bahamas who made the radical decision to save their lives even if it meant parting ways with a part of their bodies that makes them feel more feminine. “A lot of women refuse to take off their breasts. Some prefer to die than to take off their breasts,” said the 18-year breast cancer survivor. 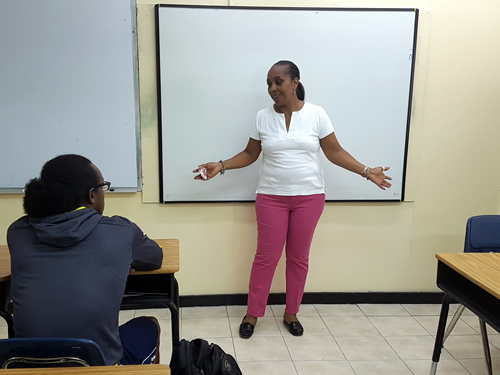 Ms. Williams recently shared her story with a class at the Bahamas Technical and Vocational Institute (BTVI) in support of the school’s efforts to sensitize students, staff and faculty to breast cancer awareness, particularly as early detection saves lives. 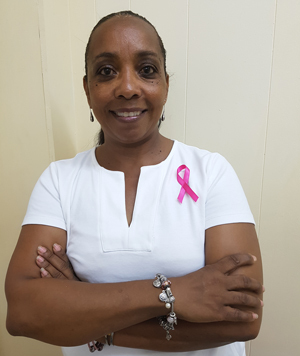 Since 2011, the Sister Sister Breast Cancer Support Group has been receiving a helping hand from BTVI. From Pink Scoop ice cream day, the annual Pink Awareness bake sale, to Sock it to Cancer Pink Sock Day and a balloon release day, to this year’s Mad Hatter’s Tea Party, BTVI continues to support the non-profit group. 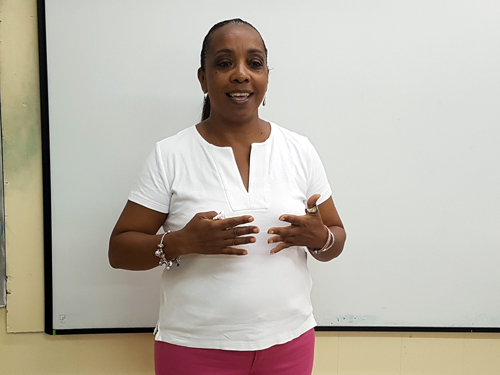 BTVI’s Dean of Student Services, Racquel Bethel, said it is important to connect students and society. “Sadly, cancer has become an epidemic in our country. Who doesn't know someone who has been impacted by the disease?…we aim to bring awareness through prevention talks that will provide strategies and information about screening, diagnosis and testimonials from actual breast cancer survivors. We are continuing to fight for the cure, while being our brother's keeper,” said Ms. Bethel. During the month of October, the BTVI community traditionally comes together to raise awareness and funds to help combat the disease. Ms. Bethel said this year’s theme, "Mad for the Cause," signifies that the institution wants to do more. The fundraising events include the Mad Hatter pink tea party and bake sale, slated for October 24th between 12:30 pm and 2 pm at the New Providence campus, in addition to the Pink Pledge campaign where staff and faculty get to pledge money individually or as a department to assist with the purchase of a port for a newly-diagnosed patient. BTVI is hoping to raise at least $1,000. “We live in a community; it’s not just about us. We have to think beyond ourselves and be our brother’s keeper. A mandate of BTVI is to build good citizens. We want them to value giving back. It builds character and model citizens,” said Ms. Bethel. Furthermore, Ms. Williams’ talk was a part of BTVI’s Student Affairs department’s speaker series. Ms. Bethel said it was important to link students with the face of a survivor. 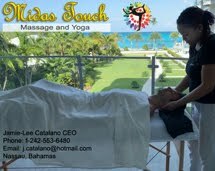 The Bahamas has the largest rate of breast cancer individuals per capita. Ms. Williams’ breast cancer was caught during stage one. She was 38 years old at the time and considered herself to be in tune with her body. She discovered the pea-size lump on the outer left portion of her left breast. 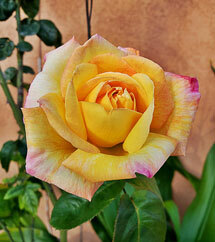 “I had not yet had a mammogram. When I did a mammogram, the lump was not even picked up. There was just a shadow where my chest joined my breast. The radiologist suggested I do an ultrasound. For about three months I did nothing. When I finally did, that mass had formed into a lump,” she said. Ms. Williams then needed a biopsy. “My general practitioner suggested I see a surgeon and referred me to Dr. Locksley Munroe, who has been a tower of strength. He has been more than a doctor. I asked him what to do in order to survive. I could have had a lumpectomy where they just take out the lump or I could take off the whole breast. I didn’t need a second opinion,” stated Ms. Williams. She completed four cycles of chemotherapy and experienced side effects such as hair loss, vomiting, weakness and weight gain from steroids, dry skin, diminished appetite and loss of taste. “I still have spots on my hand and tongue from chemotherapy,” she revealed. The diagnosis caused Ms. Williams to immediately renew her mind and shift into survival mode. “Besides God, that’s what kept me. I had to stay strong for my children and my business; I was self-employed and all of my children were in private schools. I wasn’t shocked nor depressed. My doctor and his staff thought I was in denial, but survival was my key. You have to live for you. If we feed the cancer with stress, it will survive. The cancer cells are deformed cells. They don’t die; they rebuild. Chemotherapy kills all of the cells. It flushes them out,” said Ms. Williams. Ms. Williams said she is grateful for institutions like BTVI that are raising funds for the port for women who have to undergo chemotherapy. Chemotherapy medicine is given through a special needle that fits into the port - the size of a quarter - which sits just under the skin. She went on to note that those closest to cancer survivors are also affected. “My youngest daughter, who was eight at the time, was so affected she slept in a bra, undershirt and t-shirt for years. She did not want to grow breasts. She is now 26 and I am still here 18 years later. I had to survive for my children. My children kept me going. It caused me to be more determined,” said the woman. Ms. Williams, who went on to become the first President of the Sister Sister Breast Cancer Support Group, added that the most important treatment while going through cancer is support. “The more you talk about it, you release it. We internalize too much. I’m not saying broadcast your business, but get it out. Where would my children be had I folded up?” she questioned. 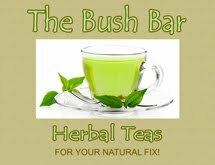 “Cancer attacks the mind, making you feel less than. You feel you’re not a whole woman. Your self-esteem plummets. And the younger you are, the harder it is. If men could say, ‘I love you with one or no breast, that would be powerful,” she emphasized. As the author of Journeys' End: Reflection of Myself - a collection of poems that challenges readers to accept the true nature and call of a complete woman – Ms. Williams’ advice to women who have been diagnosed is to find their strength. “If you don’t know God, find him and trust him. I was actually disappointed my breast did not grow back. That’s how much faith I have,” she remarked, “but I count it a privilege to have had breast cancer. I would not have been able to touch so many lives. I would not have been where I am today. It opened my eyes to a whole new world. Each moment you survive, you are helping another woman,” she said.